After my difficulties in the last post I levelled up quite a bit. At first it seemed like the grinding would take forever but there is a room in the last dungeon, where you get the same encounter most of the time. The jellies/slimes in this area reproduce as you fight them, so you can end up getting 8-16k XP per fight. I levelled to 37. After that it was time to take on Ted Broiler. For some reason I forgot to get a snapshot so here's a repeat of him from the first fight. Most of Ted's attacks are fire-based, so if you put the right code into the Love Machine to raise an anti-fire barrier, the only attack that can hurt you is a regular attack. It does a huge amount of damage and the first time I tried fighting him it killed someone in one hit, but after the levelling it "only" did 2/3 of their HP. Unfortunately there's a lot of luck in this fight because he can restore his HP to full with a drink. Most of my guys couldn't damage him, even at that level, so it was all up to getting enough critical hits before I ran out of healing items. Ted, of course, is pissed off at dying because he wanted to become immortal like Bias Brad. Sorry! At this point here is my list of wanted monsters. The missing one is a rare monster that runs away a lot and is hard to encounter; I didn't feel like running around in circles to find it. Now all that's left is Bias Brad. A few more levels of the dungeon, going back to refill my shots and HP, and I was ready to fight him. In order to stop himself from dying he put himself in a machine. This is a tough fight. He attacks 3 times a round and the attacks do huge damage, so all I can do was pray for enough criticals to beat him -- when a regular attack does 70 and a critical does 950, what else am I supposed to do? Of course Pochi the dog dies quickly. Now it's Bias Brad's true form. You'll notice that the first two tanks have SP of 0. This means that further attacks have a chance of disabling or destroying parts. Eventually enough parts get destroyed that the tank has to be abandoned and dragged back to a repair facility. Switching the love machine code gives you an anti-electric barrier. This blocks most or maybe all of his attacks. So with this trick he's not too bad, despite the weakened tanks. There really is no ending to the game; Brad doesn't want to die, but he does anyway. 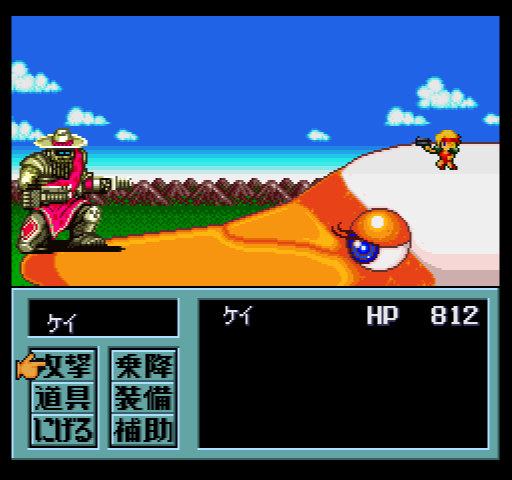 There's a credits sequence that shows all the wanted monsters you beat, your final tank and human stats, and then your characters wake up on a beach, having escaped the Bias tower as it was crumbling. Overall this was a decent game; I think it has a lot of balance issues, but it was fun to play. Review to follow, probably on Saturday. I was hoping to finish the game by today but the final dungeon is frustrating and I don't think I'll be able to quite manage it. As I said last time, this game does have a linear progression that you have to do in order to win the game -- there aren't any alternate routes or endings. However, the number of things you actually have to do to win is fairly small, and the game doesn't always make it clear where you're supposed to go next. So the "non-linear" part comes from wandering around seeing what you can find. I find this frustrating because sometimes when you get to a place and can't progress, you're not sure whether it's because you're not supposed to be here yet, you just aren't figuring out the puzzle to move on, or whether there really is nothing there because it's just an optional area. So while I am enjoying this game, it's not one of my favorites -- but I can definitely imagine other people enjoying this a lot more. I left off last time after I had gotten another tank. The tank upgrade system is something else that I found a little more frustrating the more I played -- you have a lot of control over your tanks but it also means that you have to spend a lot of time fiddling with various items and settings, and since no town offers everything, you often have to warp around to multiple places to get everything filled up, bought, or upgraded. I also think they put it some unnecessary complications, like random "bird crap" showing up in your tank's inventory which then needs to be washed off at the first town. The interface is not as clean as I would like. After getting the tank I went through the Dark Canal southeast of the big lake, which opens a new area. 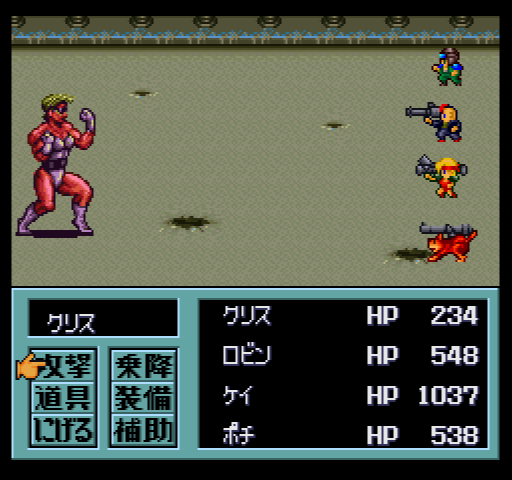 There's also the second of the Four Kings of the Grapplers, but I bypassed him for now. 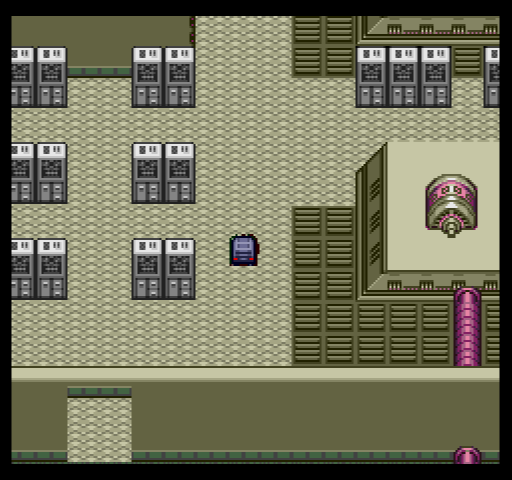 In order to clear this area you have to beat a bunch of clones, which then kills the originals somehow, opening up the doors. Finally Madam Muscle herself appears, and isn't all that hard. She's another one of the wanted monsters, so I got my reward and then headed back to the Dark Canal to defeat Cagliostro. We heard about him in Delta Rio from an older woman called Eva. Cagliostro now shows up to kidnap her. Chasing him into Dark Canal, we have to face him in battle. One other flaw in the combat system is that critical hits are too important. In a lot of fights you do very little damage with attacks, unless you critical, in which case you're suddenly doing anywhere from 10-20 times the damage. 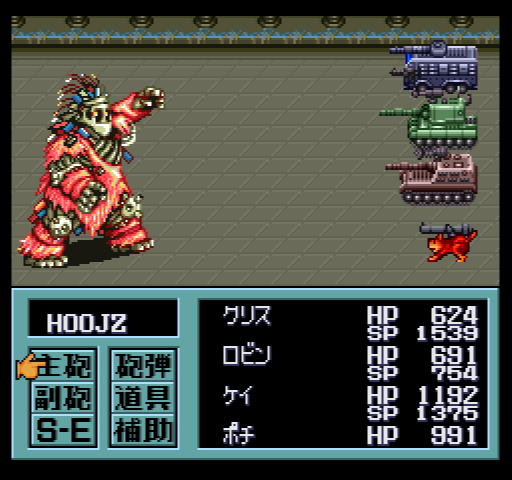 This means that a lot of fights, particularly the tank ones, are just a matter of using Hollow Shells (to damage the parts) and then regular attacks until you happen to get enough critical hits to win. The enemies get criticals also, so even if your defense is high enough that you're taking single digit damage, one critical will still do several hundred. So I guess this both helps and hurts you, but it seems like not the best way to scale damage. After beating the tank, Cagliostro himself appears. But what's he going to do against your tanks? Not much. 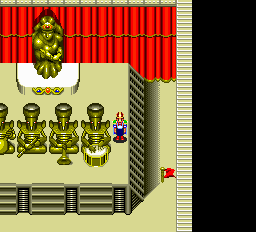 Now we've taken down the second of the four Kings...but a dying Eva tells us that the true leader of the Grapplers is not any of them, but a man named "Bias Brad", presumably the same one who owned the Brad Company that made the museum we visited earlier. This game doesn't have much of a story, but it does let you fill in a lot of pieces of backstory in optional areas -- for instance, there's a monkey research plant that gives you the backstory of Skunks, the first King, and there are other places that give some more insight into the background of the Grapplers and of Brad. Brad was a great scientist who created the wind plants and other good things, but when he got a disease he was so scared that he locked himself away in research, right around the time of the Great Disaster. 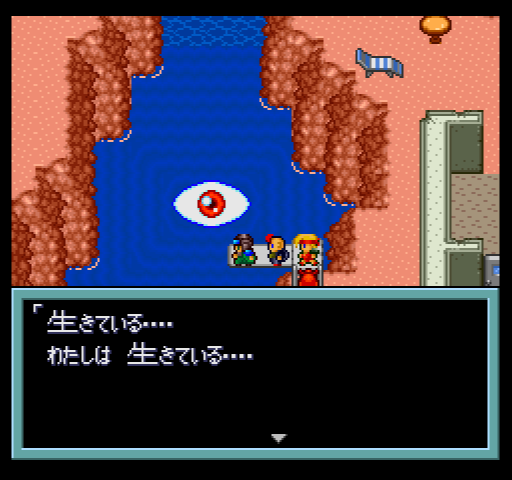 I also found a strange eye that asks you philosophy questions about existence, but nothing you choose does anything. 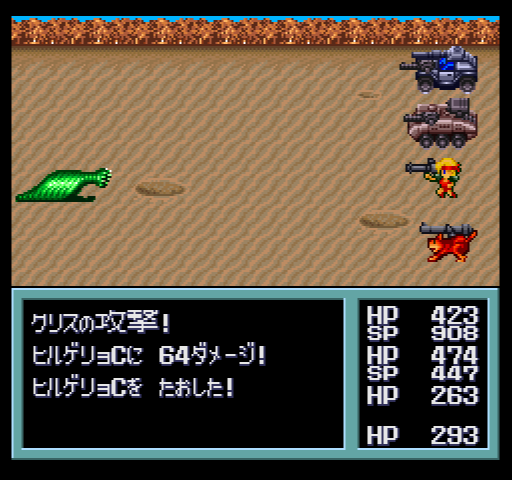 I'll skip over the next few things -- I found another tank, and beat a few more of the wanted monsters. There's a research lab where a professor will create you a new tank, but it seemed like it would require too much grinding to get the iron pieces necessary, so I skipped it. Next up is Devil Island, where (I think) the next of the Four Kings, Bull Frog, is. The dungeon has no enemies until you meet him at the top of the tower. He turns on defense systems and then runs away, but once I caught up with him he fell pretty easily. 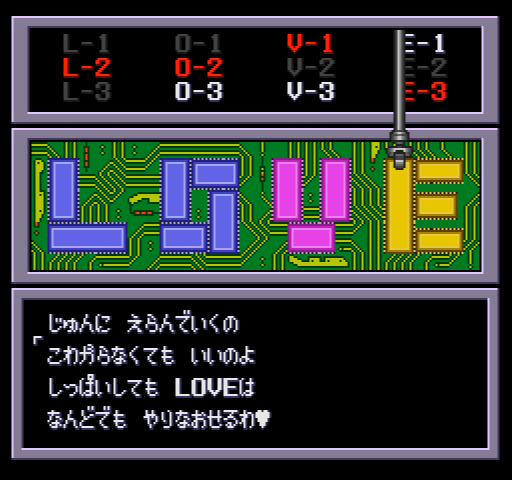 One odd thing in this game is the "love machine". You find various chips around the world that spell out LOVE with numbers from 1-3. By delivering these to some scientists they will configure the "love machine" for you. 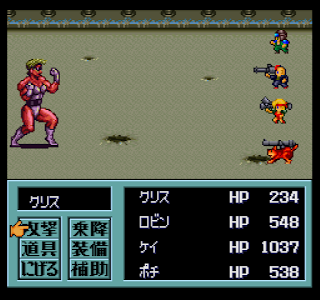 Depending on the configuration it has various effects, like damaging the enemies, healing you, playing music, or defending against various types of attacks. 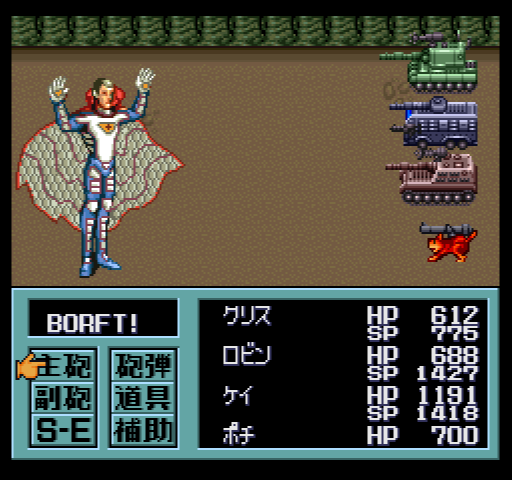 This is rather poorly presented in the game because there's no indication that the configurations have any effect, and the only way to figure out what you did is to go in battle and use the machine to see what happens. 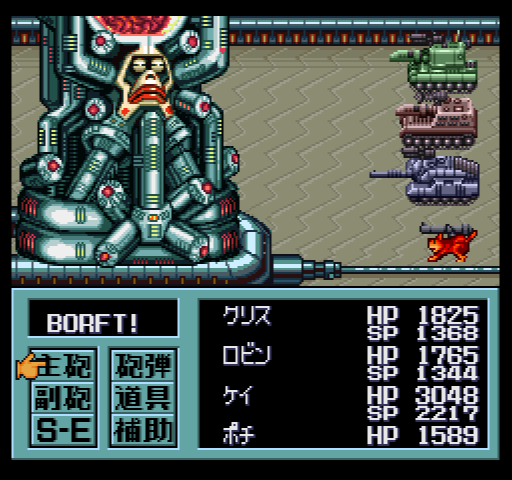 I saw a number of Japanese players say they could never figure out that it did anything and put it in the storage, but it makes the final bosses considerably easier (supposedly). 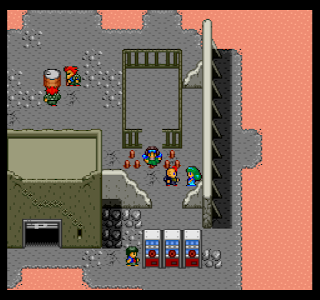 The next area I visited was Death Cross town, where they trick us into putting on mind control helmets. We get the important work of pushing oil drums across the ground. We can't run this place without you! After impressing the boss, I moved up to kitchen staff, stole a spoon, and dug my way to freedom! Killing the uber-boss, a copy of Skunks, liberated the town and they immediately started selling great stuff to me. I killed a few more wanted monsters and visited some other optional places to upgrade my stuff, but at this point I'm ready to go to the final dungeon. Ted Broiler and Bias Brad await. 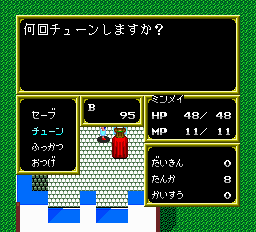 I've gone in a few times but the enemies are very hard, especially on foot. 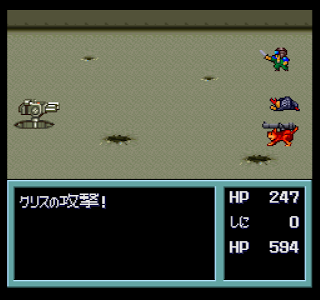 The random encounters do a ton of damage and it's hard to flee. If you get a game over you don't lose anything, but you have to make your way back to where your tanks were to get them back. It's possible to rent tanks, but then you have to report back to the rental agency once you've recovered your original tanks or most of the money you get from each battle will be taken by them. It's easier to reset, but the encounters are so deadly that it seems like I might have to do some grinding just to survive. 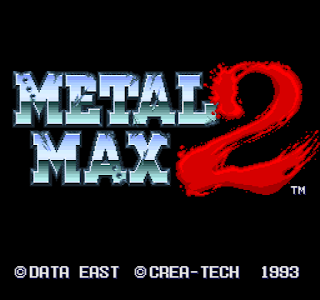 Incidentally, the DS remake of this game seems (from what I've seen) to have fixed some of the interface and balance issues this game has so that might be the better choice? 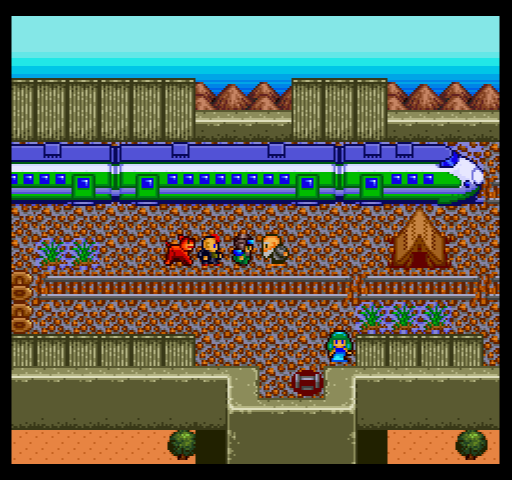 This game is sometimes described as "open world" but I don't know if it really is. There are a lot of events, locations, and bosses that you have to do in order to finish the game, and the order of them is fixed because you can't open new locations otherwise. There is some freedom and a lot of optional content, so perhaps that's what pushes it more towards "open world." 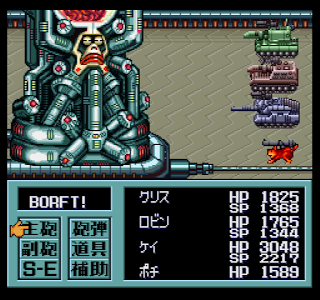 But from what I gather the final bosses are very difficult, meaning that you may have to do a lot of the optional content just to be strong enough to make it to the end. I've been using a walkthrough more than I have been for other games -- perhaps I'm still stinging over my Romancing SaGa experience. I haven't literally been following a walkthrough step by step, but I've found a bunch of optional things I wouldn't have known about. When I was a kid I used Nintendo Power as much as I could to play games, so I guess this does capture how I played the games when they first came out. 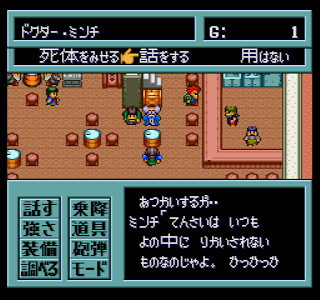 The designers also wanted fans to buy their hint guides, of course. 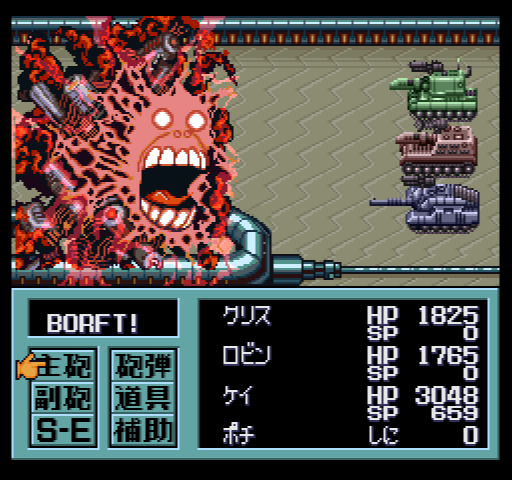 Anyway, last time I had gotten the dog and a second tank. I'm not sure exactly what causes this to trigger, but at some point Bitoh the digger will finish his hole through to a new area (with a little help from our tanks). In this new area, the townspeople tell us the story of the Brad Museum, which they seem scared of, but sounds like a good next destination. The Brad Museum has a tour led by a speaking AI that shows you all the technological wonders that the Brad Corporation produced. The tour itself doesn't get you anything; what you want to do is go on foot into the restricted areas. 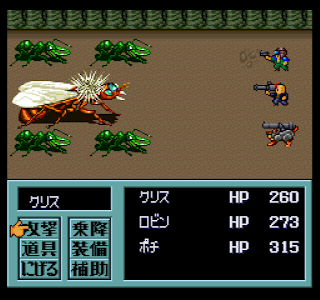 This requires fighting some pretty tough defense systems (they take little damage and do a lot, but fortunately they stay defeated even if you leave). By making my way through these restricted areas I was able to find a password to the basement warehouses, letting me steal a new tank (Wolf) and some accessories. 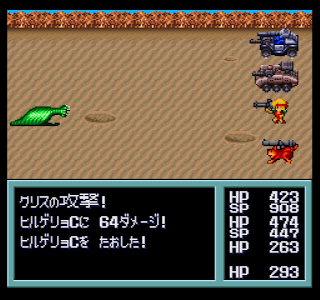 The tank was hard to use, though, and I should describe the tank upgrade system a bit more. The base of every tank is the chassis. But the most important piece is the engine, which determines the total weight the tank can handle. 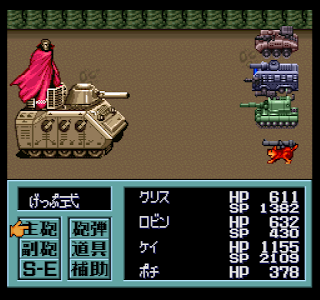 The Wolf's chassis is so heavy that the engines you can access at this point in the game can barely handle it, and once you add on weapons there's almost no space for armor tiles (the SP that protect the tank). 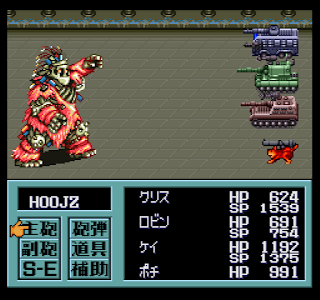 As soon as the armor tiles are gone parts of the tank start getting disabled or destroyed, so you really need a high SP to make using a tank viable. So instead I took the engine from the Wolf and put it on the buggy, which let me keep using that for a while. Actually I still haven't used the Wolf. 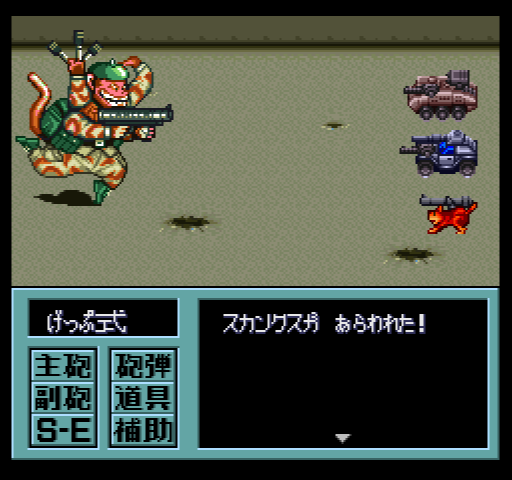 Now I went back to fight another wanted monster, a rhino thing called Saigon. He wasn't too bad and fortunately didn't run before I could fight him. 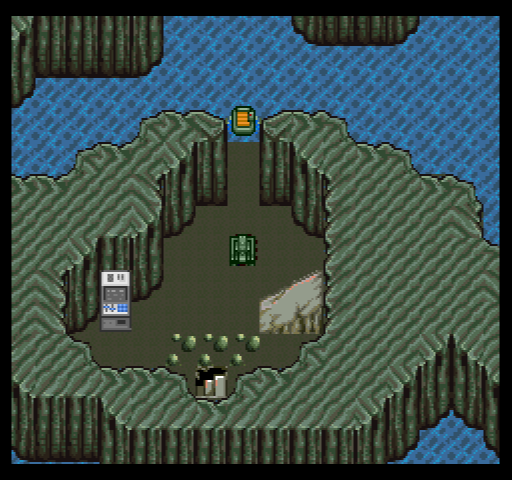 Now it's time to reach a new area by going through the Grappler Tower. The first thing that happens is a dead body lands near our feet. 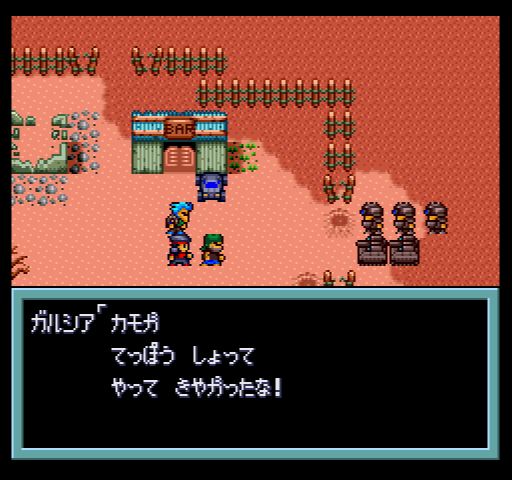 Taking the body back to Mado, it turns out to be the woman soldier, the 4th companion -- unfortunately she doesn't join yet. The Tower itself is a long dungeon, and through several visits I finally made it to Skunks, the first of the "four main generals" of the Grapplers. He wasn't too hard, and with his defeat, a bridge opened up to a new area of the world. The first city in this new area is Del Rio. You can actually get here via ship earlier in the game but you can't leave the immediate area so there's not much point. Now we can explore the whole area and learn about the captain Bhab, hunting the U-Shark who killed his family (Bhab, get it? He has a dead brother C-hab.) Also the woman soldier (Kei) reappears, and dies again. After resurrecting her the second time she finally joins the party, and our party is complete. 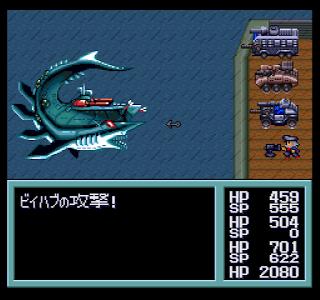 Now it's time to go out with Bhab to hunt the U-shark. It seems like it's random when he finally appears. Some of the enemies on the ocean are quite annoying but at least they give lots of gold, so I was able to make a bunch of tank upgrades before U-shark. 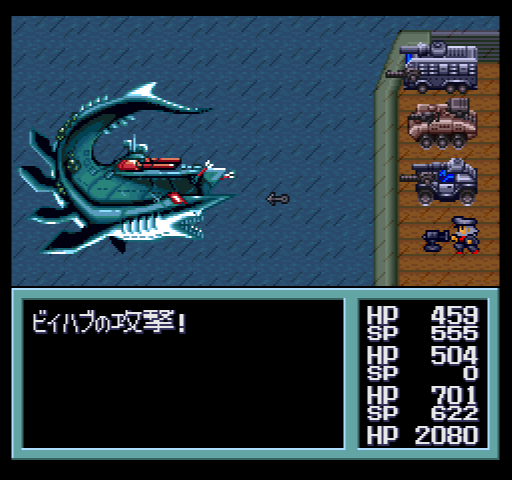 Bhab himself uses a big harpoon gun doing a lot of damage, so U-shark goes down fairly quickly. Now with his vengeance satisfied he gives us the ship, and we can travel freely. The next task I did was get the next tank type. There are "wild buses" roaming around in the north that fight you if you encounter them. But by digging up a bus stop sign with the help of a metal detector, they can be captured. Now back at Mado, someone has sent us a challenge letter. It's a guy named Garcia who fights one-on-one at this "swan" town. He's annoyingly difficult because his critical hit rate is so high, so even if you have good armor his two attacks around can break you pretty quickly. 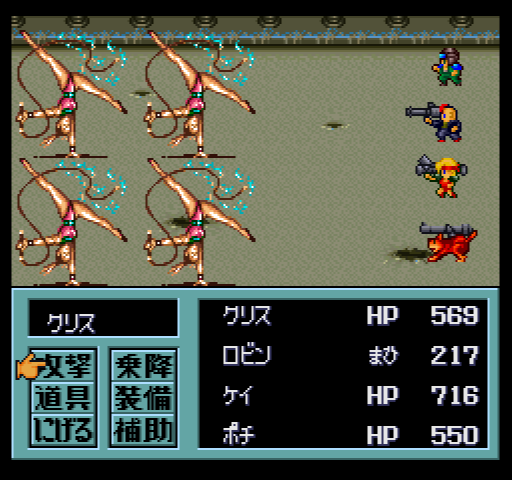 This also reveals one of the flaws with the game system -- since there isn't any magic or skill system, all the people can do during battle is attack or use items. 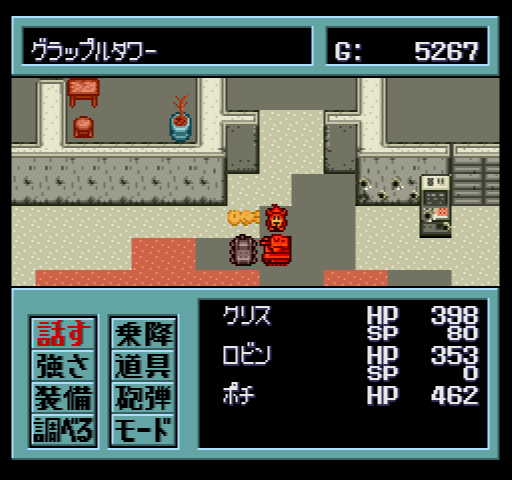 Thanks to the walkthrough I found a powerful weapon for Kei near Bhab's house with the metal detector, and this let me beat him after a couple of lucky tries. From him we get the universal unlocker, which can open the various safes and locked warehouses that have been scattered throughout the world so far. After recovering some of these, I went to the "Love Club". This place is looking for various IC chips with letters (L, O, V, or E) on them. 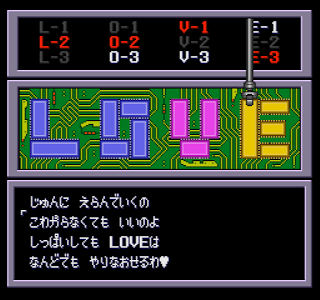 There are 12 (I think) throughout the game and once you get them you can spell LOVE in various combinations to do things like raise your fire defense or get other bonuses. 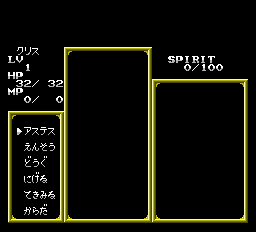 Apparently this is vital to defeating the final bosses because they're so difficult. I don't have enough chips to do anything yet. The last thing I did was go to the far NE to Taishar city, where there are some nice tank upgrades (including a great engine that can be upgraded to support a lot of weight, which lets you upgrade the tanks' armor a lot). There's also a new tank, which was being worshipped as a god but which we can apparently just go up and take -- I guess they're OK with it. Also at Taishar we finally hear a legend of what happened to the world; the humans essentially destroyed the world's ecology, eventually making the computers rise up against them, but somehow the subsequent looting and destruction ruined the world further (e.g. there's no Skynet or Matrix situation). I think I can finish the game by next week but it depends a bit on just how hard to remaining stuff is. I may have to grind for gold too much, but that's what conference championship playoff games are for. 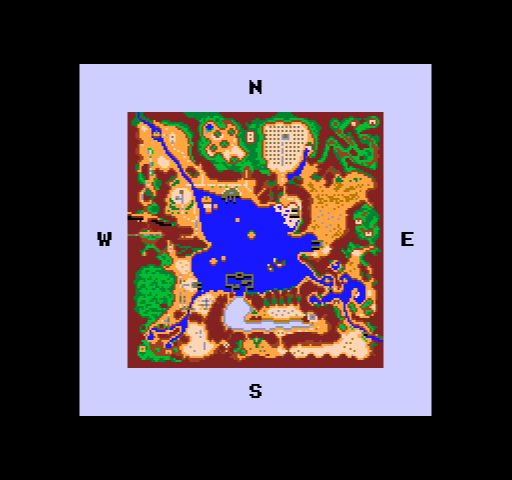 It's classified as an "open world" game. This label tends to be rather vague, but in this case it means that you have a greater degree of freedom and many of the events and places are optional. 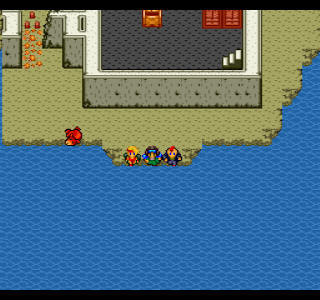 It doesn't go as far as Romancing SaGa in trying to let the player explore the whole world right from the start -- this carries the risk of the game being close to a traditional linear RPG, just without much direction. 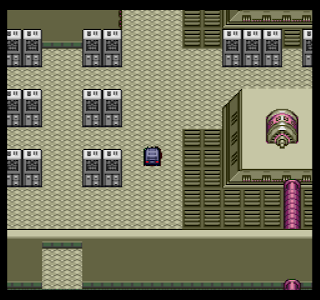 MM2 does seem to mostly get it right from what I've played so far; there is a sense of forward progression and there are enough hints that you can identify places to go next. 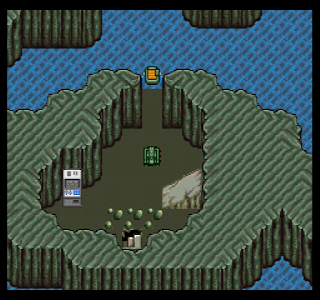 One drawback of this (for me) is that there are sometimes places where you're not sure if you're supposed to be doing a certain puzzle or event now, or whether you'll have to come back later. Of course since most of the stuff is optional you can just skip it, but I often find it hard to resist looking at a walkthrough. I think I used a guide too much when I played this week, but I'm psychologically weak against the fear that I might have missed something. As you might guess from the name, the setting is inspired by Mad Max. The exact setting is non-specific; there are a lot of trees and other greenery so it's not bleak post-apocalyptic, but society has definitely collapsed with a lot of ruined cities and such. The Grapplers are a large force of thugs who control much of the world and hunt humans. 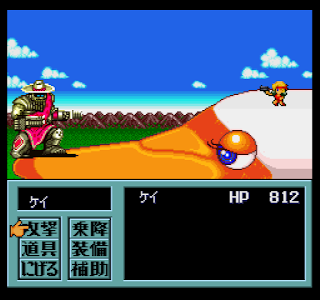 The main character is the adopted son of Maria, a Hunter, who hunts monsters for money. 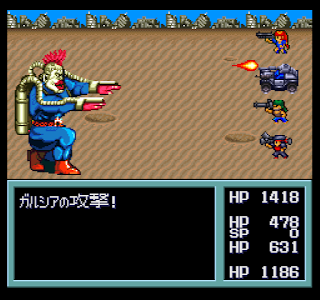 Maria found him on a battlefield where his parents had been killed by Grapplers. 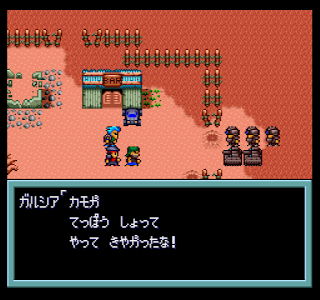 The game begins with the townsfolk of Mado hiring a group of Hunters, including Maria to protect their town from Grapplers. They handle the first group easily, but then the leader Ted Bruiser appears. Ted slaughters everyone, although Kurisu (our main character) manages to survive. His goal now becomes to make money and perhaps beat the Grapplers some day. The first task is to get a tank. You can fight in this game either in a tank or on foot. 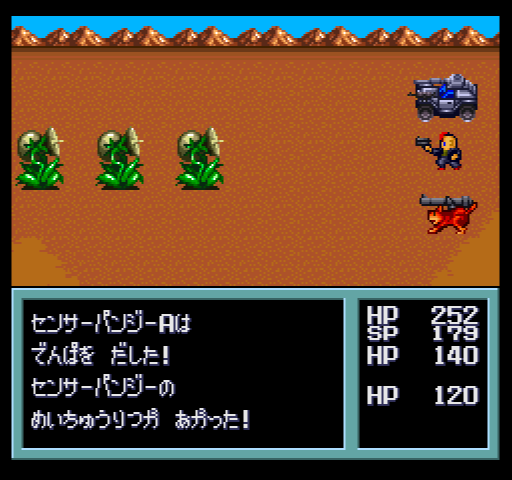 Some places can't be reached by tank so you have to go on foot, but you need a lot of money to equip and outfit the characters and their vehicles. So Kurisu sets out for El Nino, where the Mado mechanic has gone. 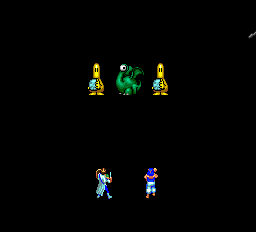 The battle system at this point is fairly simple. There's no magic so you can attack or use items. 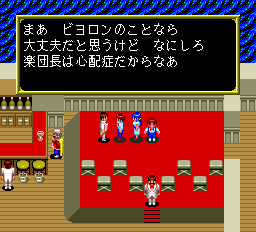 Fortunately getting a game over is fine -- you reappear at Mado with no penalty. The crazy mad scientist Dr. Minch will revive anyone for free (to further his experiments). Once you get vehicles it becomes more costly because you'll have to recover the vehicles from wherever you died and pay for their repairs. Mado essentially becomes the base, where you can rest for free, store items, clean your tanks, and do other things of that nature. At El Nino, Kurisu hears that the mechanic has gone back to Mado. 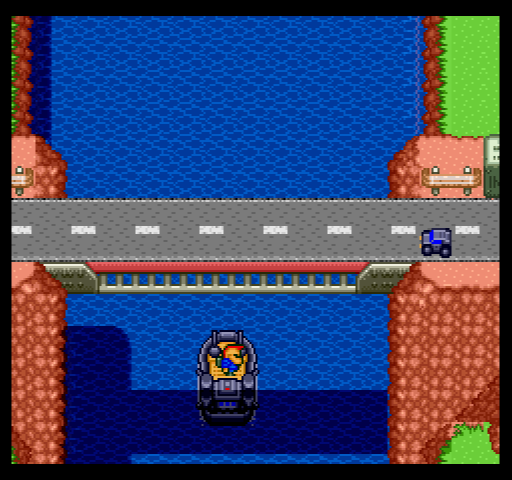 You can activate a teleport system to return there, and then get the first vehicle, a Buggy. 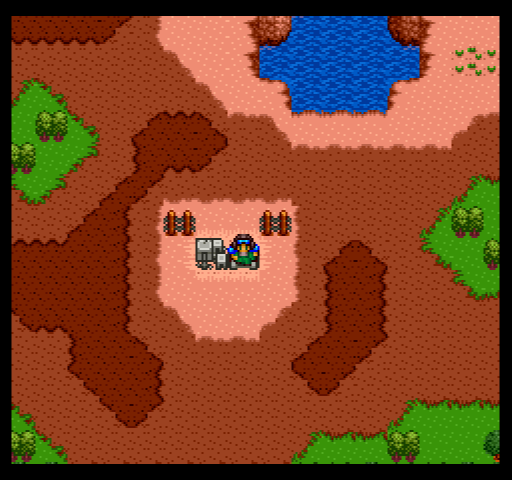 I failed to get a screenshot this time, but the vehicle system is pretty detailed. 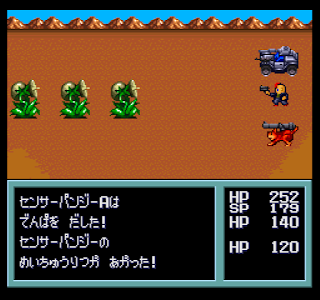 Each unit has a chassis, engine, weapons, and items. You have to keep the vehicle's weight below a certain amount so you can't set everything up. Generally you have three types of weapons -- small damage unlimited ammo, medium damage limited ammo, and high damage very limited ammo. The armoring comes through "tiles" which act as HP for the vehicle (called SP). If all the SP go away then the attacks start damaging the parts of the vehicle, which have to be specially repaired. You can freely mount and dismount so if the vehicle is taking too much damage it can be sidelined. One annoying part is that you frequently are forced to dismount the vehicles in towns or outside to pass through certain areas. The vehicles remain there forever until you remount them. So you have to remember where you left them (even if you die). 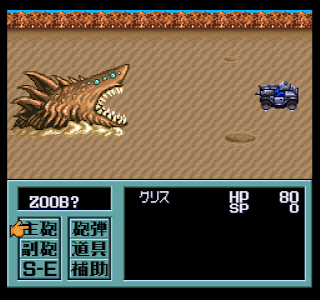 Now with a vehicle I could take on the first Wanted monster. A main goal of the game is to defeat the monsters seen on wanted posters around the world and get the money rewards for them. The first one is a sand shark. That screenshot is from a failed attempt where I didn't have any armor on the vehicle. Once I did it wasn't too bad, and I got 1000 gp out of it. The next goal is to get the first companion. There are three companions in the game -- a mechanic, a soldier (female), and a dog. The mechanic is trapped in El Nino, but we can release him by finding Ginba in an underground sewer near Hatoba town. 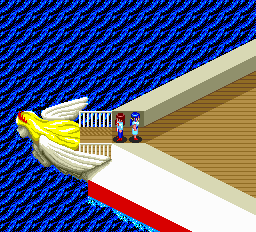 Unfortunately the bridge has been closed because of Mado's foolish uprising against the Grapplers, but Kurisu blasts the guards to smithereens, who then escape on Ted Bruiser's ship. The sewer is not very long, and once we find Ginba he's willing to spring the mechanic Robin from prison, who then joins our team. Next up is Pochi, the dog, who can be found in a dog village. 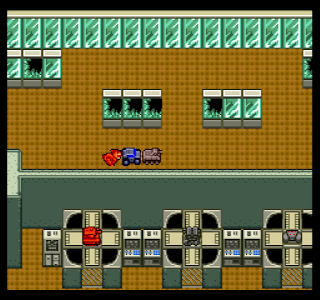 There are other dogs that can join you as well but they can't equip anything so you have to ditch them at Mado town. The next place I came to was Azusa, where people are gathering to oppose the Grapplers. Reaching the top of a tower (and guessing the password), everyone recognizes Kurisu because Maria had been here with him before. Maria seems to have been highly respected by these people. They also tell you about secret weapons in Thirsty Bar, where I went next. By using a similar password I was able to gain access to the secret shops and weapons at Thirsty Bar. I also found out from a walkthrough (sorry!) that by using a mine detector in the nearby desert you can get the second tank. 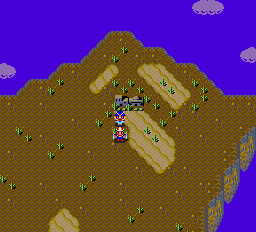 After all of this I was ready to take on another wanted monster, Adam Ant (sigh) near an abandoned forestry compound. The ants in the anthole were fairly easy and gave a lot of XP and gold, especially the Gold Ants. Adam Ant had enslaved a bunch of people but in the end wasn't that hard (although he did kill Kurisu). Now with the money from the anthole plus the 4000 g from the reward, I have lots of money. First up will be to try to do some upgrades on the tanks. So far this is a pretty decent game. I'm almost surprised to be enjoying something! I'm noticing a stark contrast between PCE games that really tried to use the CD technology and those that didn't. 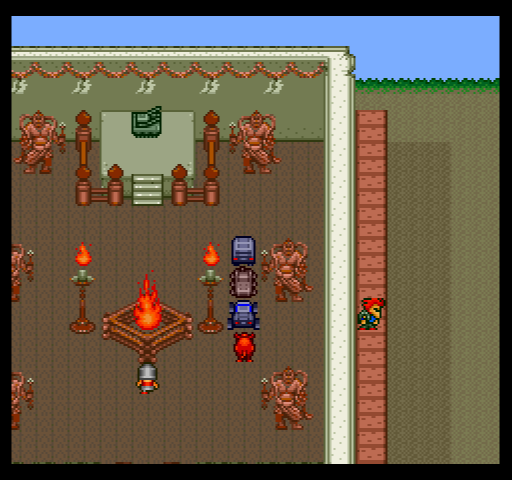 Tengai Makyo, Ys I&II, and Cosmic Fantasy have a lot of voiced scenes and cutscenes, and Ys uses the CD for great music. Deathbringer, La Valeur, and this game could have come out on HuCards. I think Astralius has some CD music but it's not that great. I assume these games were brought out on the CD because it's cheaper than a HuCard and maybe they thought it would increase sales because of the new technology. 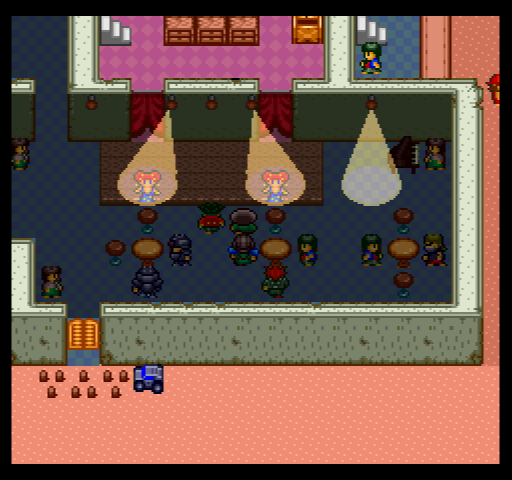 This is an innovative-seeming RPG with music as its theme. 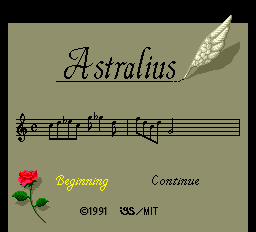 Young people who want to be professional musicians adventure in the alternate world Astralius. Fighting with "performances" and other places where they tried to be different from other games are good, but there are a lot of weak points in the game, and the content is bland and quickly induces boredom. The battle system, the selling point of the game, is bad, with a completely black background. The encounter rate is high and you can die from one critical hit of the enemy. Even though the theme of the game is music, the sound effects are horrible. It's on a CD-ROM2 so you would expect more events using visual scenes to heighten the mood, but there are basically none. So let's see how the game progresses. You begin by naming the four members of your orchestra -- a flautist, a trumpet player, a percussionist, and a violinist. 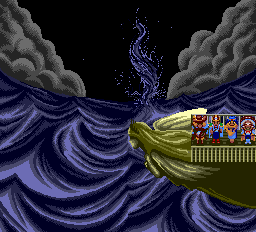 You then start on a ship apparently in the present day Earth, with an adventure-game like section where you have to solve a few puzzles to find the violinist. 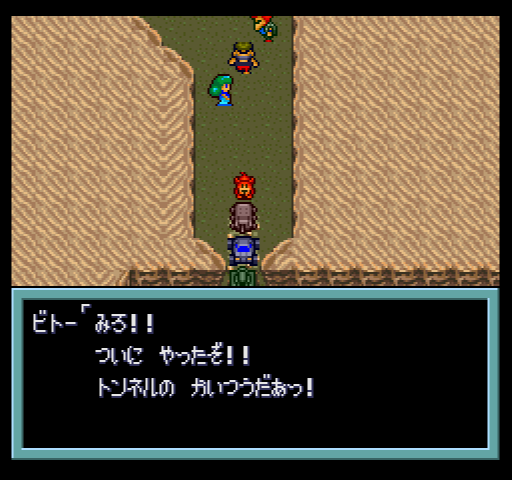 We then scare away a bad guy Ludbach who is harassing a woman. 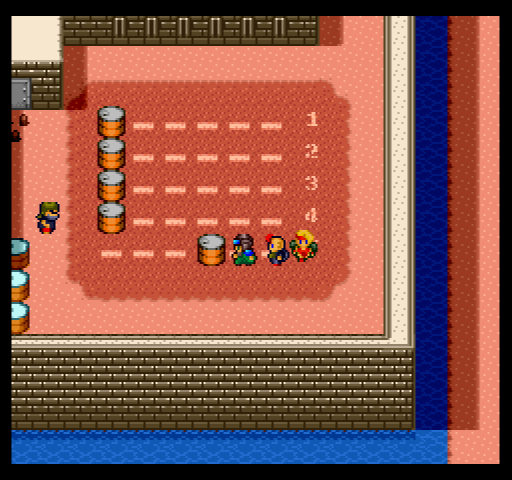 He drops a musical score, which the group decides for some reason to play. This score warps them into another world, Astralius. The flautist finds himself alone in a palace of fairies. He is able to transform into a knight via a robot-like creature, and the trumpet player soon joins with the same ability. Magic is learned through levelling up, but you have to pay to increase your MP by "tuning" your instrument. 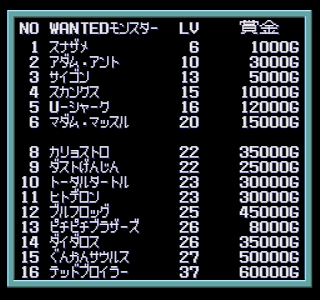 The cost increases as you level up but this is a major source of money drain at the beginning of the game. We also learn in the first town of a tower up north where our other companions went but did not return. So that seems like the first destination. I don't know what purpose that blank box in the middle serves, and I don't see why they thought they had to have these two separate views. Once you enter commands it returns to the monster/player view although only the current target or attacker is visible so it's a little annoying to see how many monsters are left. You can hold down the I button to go through the messages, which is nice. Levelling is fairly quick with the I button and a speedup key but the random encounter rate is so high that it took forever to actually be able to make it to the tower. 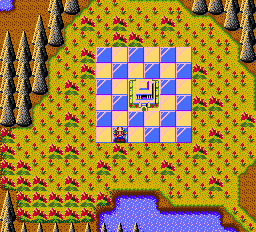 For some reason the tower uses the overworld graphics engine instead of the town one. 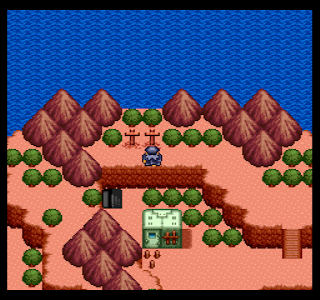 Here, as well, the encounter rate is off the charts, and it took a while before I had enough power to make it to the top, where an orb transports us to a desert area. That's where I'm stopping; this is a poor early-era RPG that has some interesting ideas but isn't really worth playing. Super Famicom updates will resume next Saturday.